Red cat and white duck. 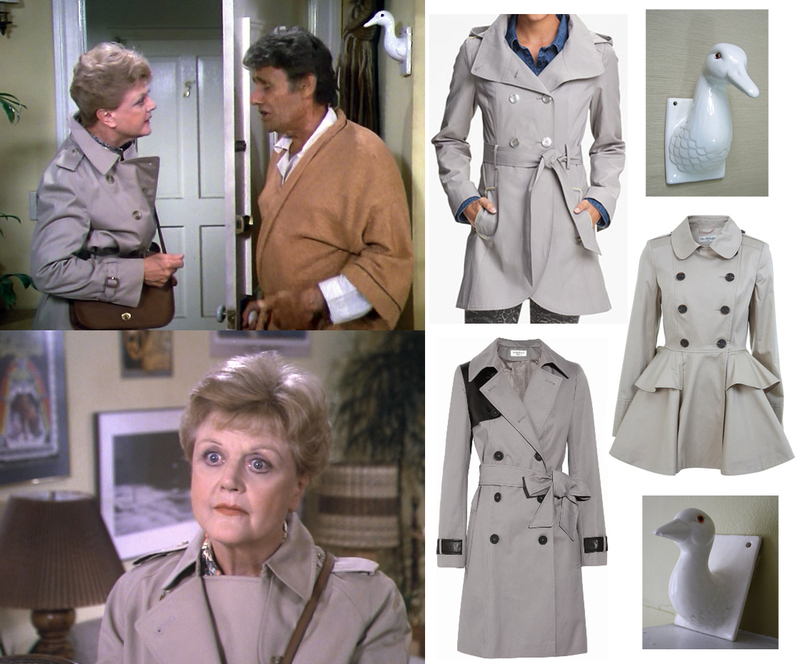 In this episode Jessica wears again her “detective” trench coat, and I already wrote about it in this post. This time, however, she has a grey one, so I picked a few more options, all with a modern twist. I really like this one by Guess, especially because it also has a hood! British fashion designer Helene Berman adds some pretty detailing in black on this one, available at The Outnet, whilst Miss Selfridge goes for a pretty peplum. And if by any chance you are wondering (as I did) where to find a white ceramic duck to decorate your wall (even though it belongs to police Lieutenant Floyd Novack’s house, not Jessica’s), well, look no further: this pretty duck by Etsy seller Old Revolution, and this cute duck by Etsy seller Recy are looking for a new, murder-free home. At Lt. Novack’s house, Jessica is seen cuddling his lovely red cat. I don’t think I need to stress the fact that cats (and pets in general) are NOT accessories, so adopting a furry friend should be a very important decision as you are effectively going to adopt a new family member, but I would like to take this chance to mention all the beautiful and loving animals that are waiting to be rehomed in animal shelters around the world, often run by charitable associations in dire need of all the support they can get. For those of you who live in UK and were thinking to adopt a cat or make a donation, I recommend the Battersea Dogs&Cats Home and the RSPCA website. Who knows, your new forever friend could be just there, waiting for you! But going back to fashion, I must admit it: I have never been a scarf person. In winter, yes, chunky wooly things to cover up 99% of my face, but fashionable silk scarves? Not so much. Well, needless to say, Jessica once again taught me an important lesson. Her scarves look so pretty that I am now determined to build up a scarf collection myself. In the previous post I already mentioned how her white satin scarf completely transformed her otherwise simple outfit into a really elegant look, but in this episode she wears other two lovely scarves, with geometrical and floral prints. I really like the way in which Jessica wraps the scarf around her shoulders! It gives a splash of whimsy to an otherwise quite plain outfit. This scarf has a geometrical border and a pattern of stylised pine trees in the middle (not really much visible in these screenshots). It has proved very hard to find anything similar, but I am happy enough with this paisley pattern scarf and this liberty silk scarf, both available at Oxfam, and this sakura satin scarf by Accessorize, which all have a similar vibe. Jessica loves light blue shirts and wears them often, but this one has a twist, as it has a white collar and cuffs, like this contrast shirt by Forever21, this one available at House of Fraser, or this one available at Oxfam. Jessica wears again a black pencil skirt and black heels (see previous post) but adds a black buttoned sleveless cardigan on top of her shirt, like this one available at Yoox, or this one and this one available at Rokit. Jessica also carries a leather bag with rounded edges. According to my internet research, Jessica’s bag might well be a Coach bag. Founded in 1941, this luxury American brand was incredibly popular in the 1980s, when “Murder, She Wrote” was first filmed. Nowadays this brand is still very popular, however the style has been modernised, as you can see from their latest collection. Of course I don’t have any definite proof of this so I am just taking a guess, but certain details, such as the button which closes the bag (see also earlier on, the first screenshot in this post) reminds me of other vintage Coach bags I saw. On Etsy you can find dozens of gorgeous bags, so I really struggled to pick just a few. I really like this 19080s chestnut satchel and this 1970s walnut satchel bag, both by seller OmniaVTG, this vintage shoulderbag and this vintage classic shoulderbag, both by seller Ms2SweetVintage, and this classic tan purse by seller SubterraneanDesire. If you want a different colour, I also like this 1970s black leather bag by seller NotoriouslyVintage and this deep green leather purse by seller Cafarellajen. If you prefer to buy from the high street, I found a couple of bags with a similar vibe, such as this Warehouse saddle bag available at House of Fraser or this Fossil crossbody bag available at Nordstrom. 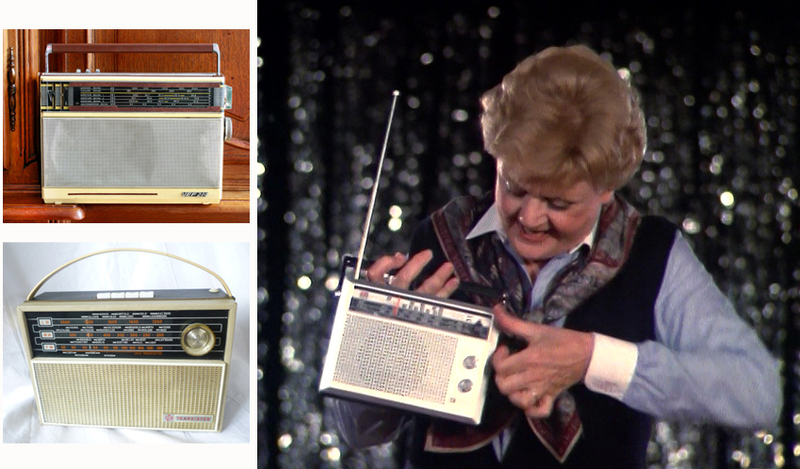 I personally find vintage technology very fascinating, so if you want to have a transistor radio similar to the one Jessica uses in this episode to prove one of her murder theories, this vintage portable radio by Etsy seller Raffaello Vintage and this vintage transistor radio by Etsy seller JillyFlowerVintage are both lovely options. Later in the episode, Jessica puts together a really pretty outfit, dominated by a beautiful brown skirt and another of her gorgeous scarves around her neck. It is quite easy to find lovely flower-patterned scarves, and I particularly like this one by Accessorize and this vintage Jacqmar available at Oxfam. Jessica is also wearing a plain shirt, like this simple Oxford shirt by Uniqlo or this pretty one available at Lands End. On top of her shirt she wears another sleeveless cardigan, this time in pastel tones, like this vintage one available at Rusty Zipper, or this one and this one available at Rokit, slightly different but still pretty. To complete the look, Jessica wears a pair of heels with a little bow on the tip, similar to these ones available at Debenhams or these ones on sale at Yoox. With less heel but similar in style are these, £14 at Asda, or these by Top Shop. This entry was posted in Episode 03, Series 1 and tagged coach, etsy, fashion, guess, helene berman, jessica fletcher, murder she wrote, outfit, scarves, vintage. Bookmark the permalink. I love your art! Thank you for stopping by! Another great post! I really enjoy my peeps inside Jessica’s closet. Aw, thank you so much! I am so glad you like it! This is FANTASTIC! Love it!! The BEST idea for a blog EVER!! I am loving it. I agree, it is lovely! :) Thank you! I agree, best blog ever! Thank you for doing this. Aw thank you so much!! I am very glad you like it! I am a scarf person and I tell there is nothing like a great colorful scarf to wake up an outfit! I’m so glad that Jessica set you straight on the beauty of scarves. Not only do they extend the life of a wardrobe; when not in use they look lovely folded up in a basket. Thank you!! I have learned so much since I started this blog!! And I love the idea of the basket for storage. I bet it looks way better than any hanger! That’s a fantastic find, thank you so much!! I love your blog! 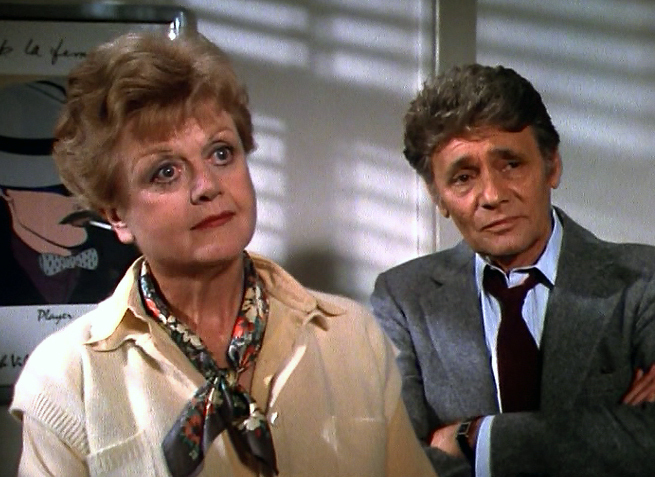 I am a big fan of Murder, She Wrote. Whenever I don’t have anything to do, I put on a DVD of the series. I especially love the Cabot Cove episodes of earlier days. And I love Jessica’s house and decors and of course her fashion! But there’s one thing I have always loved and it’s her bag!!!! The one mentioned in this post. Jessica used to wear shoulder bags like this in a messenger style in earlier episodes but I especially loved this particular one!!! I love the style, the colour, the size, and the catch! Can you tell my enthusiasm? Anyway, I just found your blog today and haven’t had a chance to read all your posts but I definitely will! 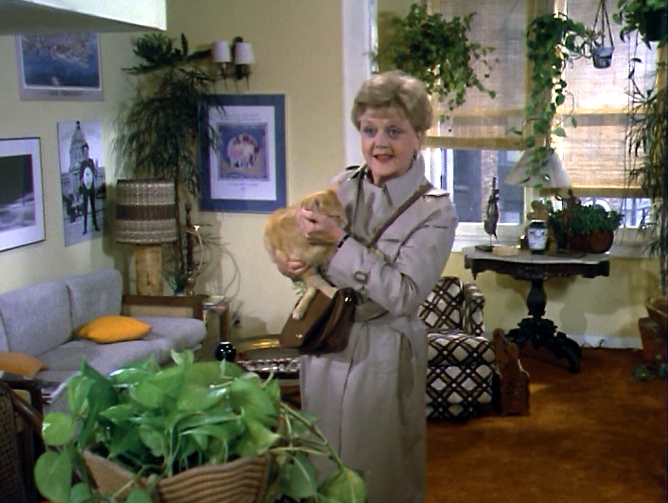 Im binge watching Murder she wrote on Netflix and am entranced by some of the outfits Jessica wears. She always looks so put together, always the perfect outfit for the occasion. So happy to find your blog.